This post has so many ties to Beijing. Not that I had an affinity for figs while I was there. Nor did I make fig jam while living in China. But autumn was my most favorite season in Beijing, with spring running a close second. Winter was cold and dry and summer was steamy, hot and wet. In fall, everyone was back from summer vacation. Which meant we were refreshed. Living in Beijing could make you a bit hard…trying to keep your place in line (don’t even get me started on queue cutting), bargaining on everything from vegetables to shoes, getting and not getting cabs and once you did, you often wanted to get right back out (also don’t even get me started on the fragrance specific to Beijing Taxis). But fall was different. The oppressive heat and humidity of summer had vanished. The trees turned gorgeous shades of orange and brown and there was a slight chilly bite to the air. And the air… It always seemed like there were more blue-sky days in fall…no summer rain clouds holding the pollution close to the ground and the coal hadn’t yet started burning to warm up the city. We moved to Beijing in the summer of 2006 and I forced myself to do everything. I think I had this secret fear that if I stayed home several days in a row, I’d never leave the apartment again. The city was big and overwhelming and disconcerting when you knew you could neither say where you lived nor intelligently ask for help (my ease with Mandarin never quite came to fruition). That first year, I was so excited to go the Mid-Autumn Festival in Chaoyang Park. I had visions of street food and carnival games. It was right across the street from where we lived and we decided to walk over. It was positively bone chilling out that night (which I later learned was an abnormally cold autumn night). We were covered in head-to-toe mittens and scarves and hats and sweaters. Gavin wasn’t yet six months old and he and Stella were shoved in a double stroller (pause and think about that anomaly in China). It hurt to breath; the wind burned our cheeks. I remember the cold (of course), the darkness (so early! ), the pushing (everyone wanted to be first in the festival), I remember the sparks coming from the lanterns over our heads as they bashed into one another (in my mind, the headline read: Expats Electrocuted at Annual Festival) and I remember, once we got inside and I had surveyed what appeared to be just a bunch of blown-up, illuminated cartoon characters (think bouncy houses without the bounce), saying: is this it? And so I was introduced to fairs and carnivals and festivals in China. Bright, crowded and sometimes tacky. September 15th is Mid-Autumn Festival and it always makes me nostalgic of that night and that time in my life. I made these savory mooncakes to celebrate Mid-Autumn last year…and then didn’t post them until Chinese New Year. What can I say…I’m a work in progress. I always try to keep my kids connected to that time in their lives. The Mandarin classes have fallen to the wayside…but the food…that, I can keep going. These mooncakes are considered a MASSIVE cheat recipe (or hack?) as you’re using puff pasty for the dough. Some may call it a cheat, I call it genius. They come together quickly and they’re a nice way to pause and celebrate the new season. This past spring Asha of foodfashionparty.com (@foodfashionparty) was going to Beijing and asked for suggestions. I sent a huge laundry list of where to eat, what to see and where to shop. I was so happy that Ash not only Snapchatted the entire trip but also sent me lots of messages asking how far is this restaurant from where we are? Is this near our hotel? I loved virtually revisiting all of my favorite Beijing places with her. As much as I love to rip on Beijing for its pollution and queue cutting and general harshness, it feels like my other home. Ash sent me a sweet care package after her trip, which included two spice packets. I thought for sure they were five-spice, but she said they were actually 11- or 17-spice powder. I used her spice blend in this particular batch of fig jam seen here. However, I always use classic five-spice powder when I make plum or fig jam, so that’s what is included in the recipe below. OK, that is more than enough nostalgia for one week…let’s get our jam on. Freezer Jam. I sometimes go to the fuss of proper canning with boiling water and tongs and sterilization. But when I’m making such a small amount, I just throw everything into clean jars, let it cool and then shove it into the back of the freezer. There it will kindly wait until I’m ready to gorge on an obscene amount of cheese, bread and fig jam. Usually a bottle or two of wine will accompany this glutton-fest. Plums. 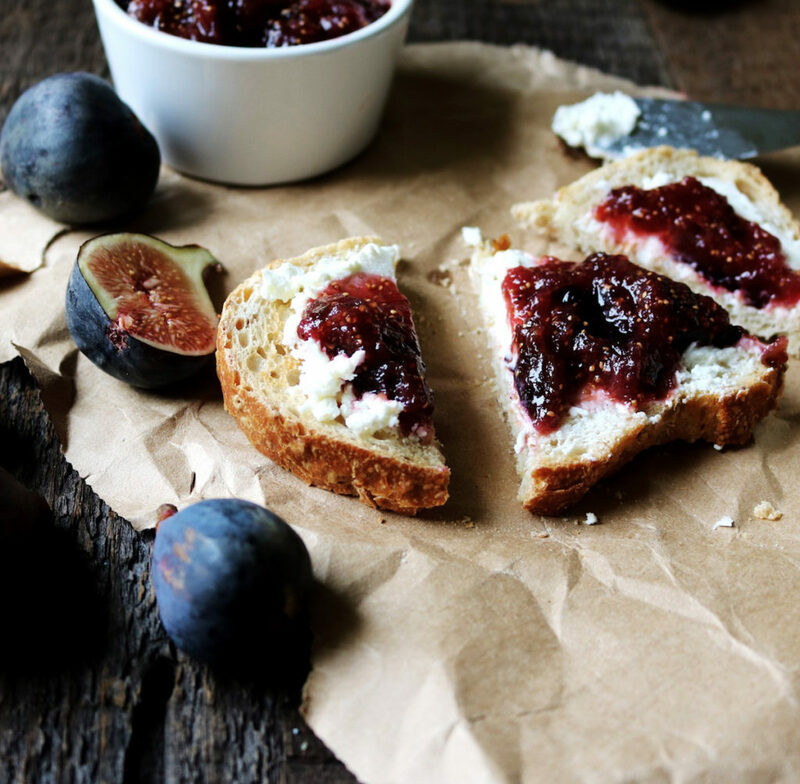 This fig jam recipe is actually my recipe for plum jam as well. 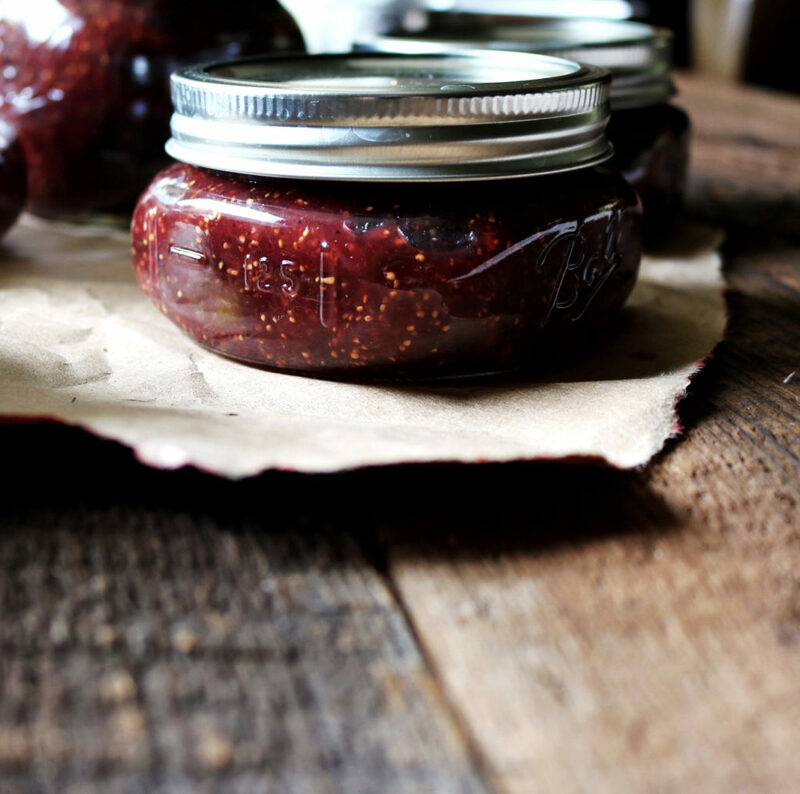 If you have some plums lounging about, I highly recommend making a batch with them too. You’ll need to increase the sugar to 2 cups and use 1/2 lemon (juiced) in place of the orange. Sterilizing Jars. Sometimes I throw all of my jars into the dishwasher and sterilized them before I put the jam in. However, I have read plenty of recipes where they just make sure the jars are really clean for freezer jam. Let your conscience be your guide. Pairings. 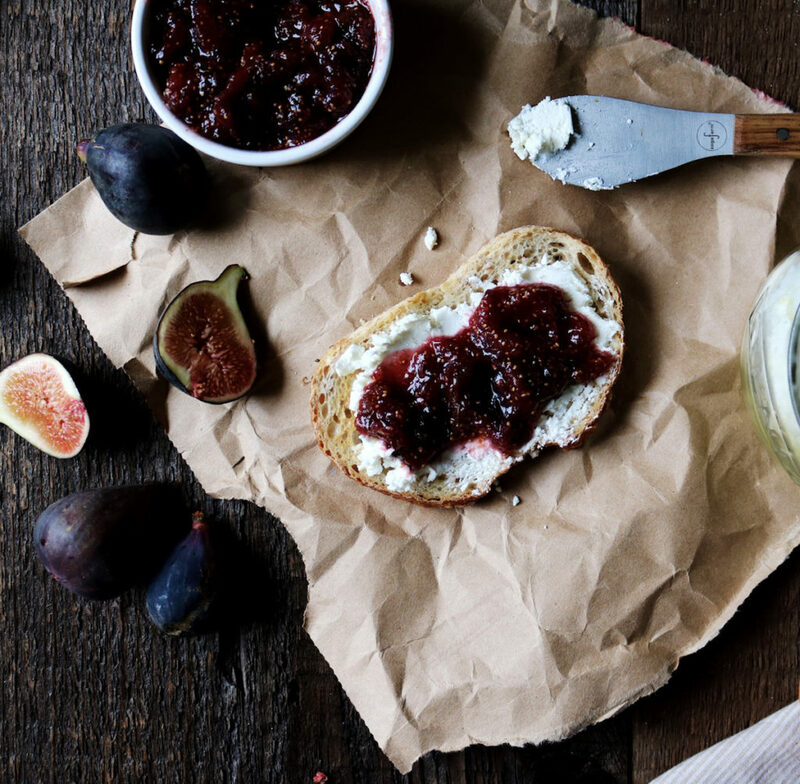 Put a thick smear of cheese on baguette and then dollop the fig jam on top. Done. 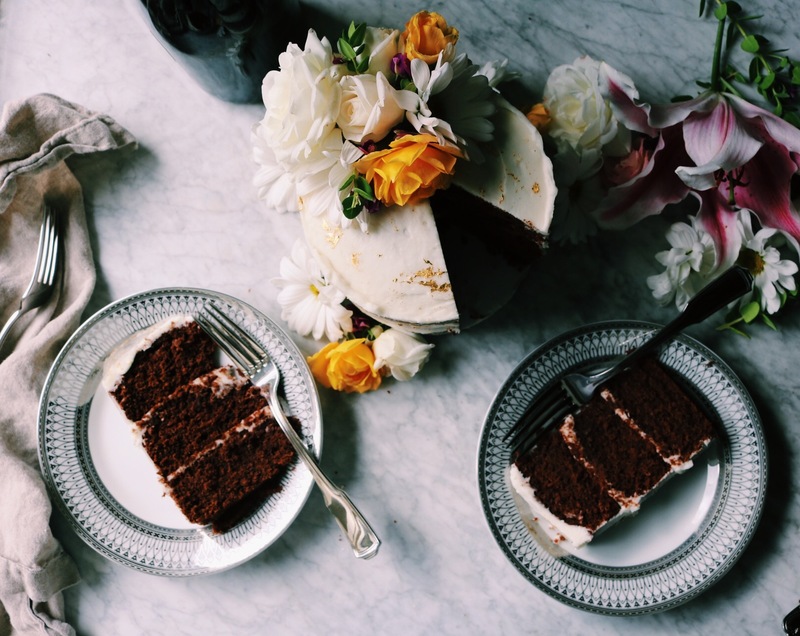 I used labneh in these photos. And if you have leftover turkey, please call me and we can make turkey sandwiches with fig jam. I’ll bring the beer. Easy Level. This could not be easier. Legit. 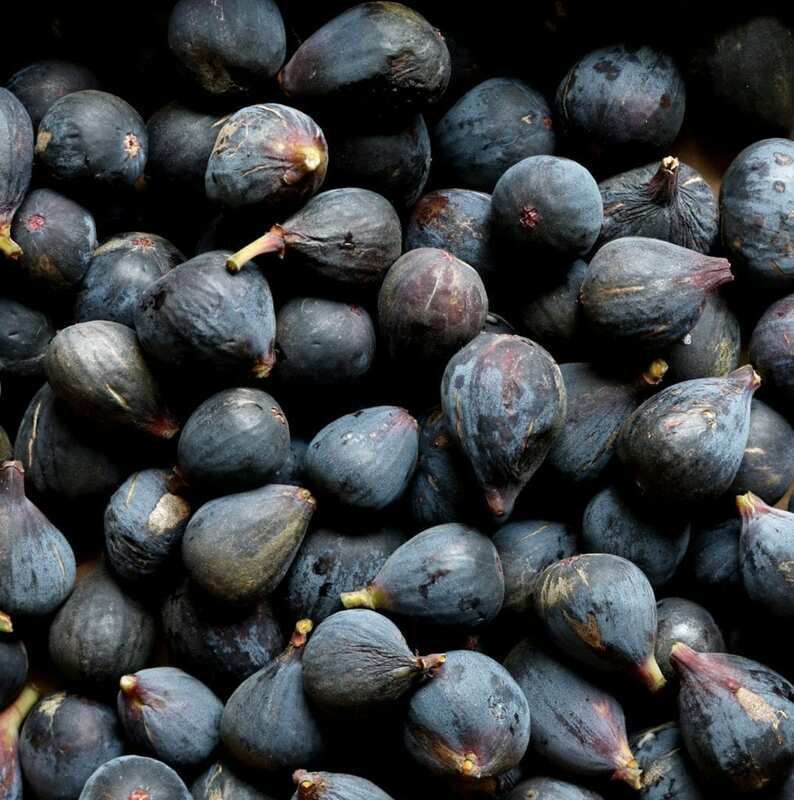 Place the halved figs in a large cast-iron pot and place over high heat. Add in the sugar, orange juice and five-spice powder. Stir to blend. Once the fig mixture has reached a boil, reduce the heat to medium low and let it simmer for one hour. The figs will be falling apart and the jam will have reduced and thickened. Grab a potato masher (or use the tip of a wooden spoon) and break up any large chunks of fig that are remaining. Put the jam in clean jars and cover with lids. Let cool completely and then store in the freezer until ready to use. 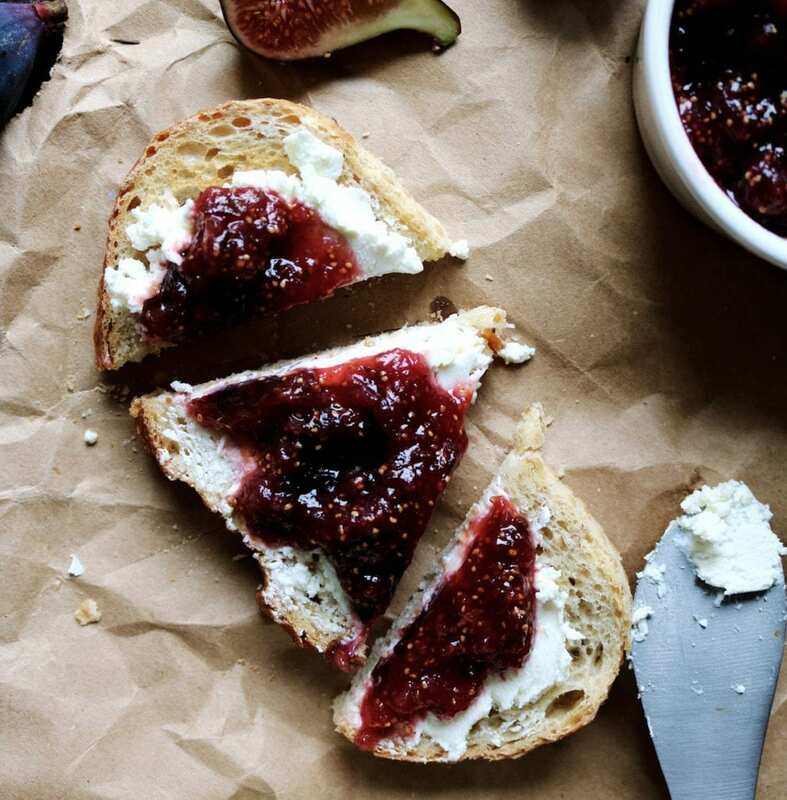 ***FYI: I never use pectin when I make jam (I think it’s unnecessary) and I LOVE to use the small 1/2 pint jars…they’re perfect for a cheese board! MORE FIVE SPICE RECIPE MAGIC: Five Spice Cranberries + Cocktail + Appetizer, Boozy Cranberry Coffee Cake, Cranberry Orange Scones, Double Cherry Five Spice Pie, Port Cranberry + Apple Petite Rosette Tarts and Boozy Cranberry Cheesecake. Wow. That’s a five-spice party. 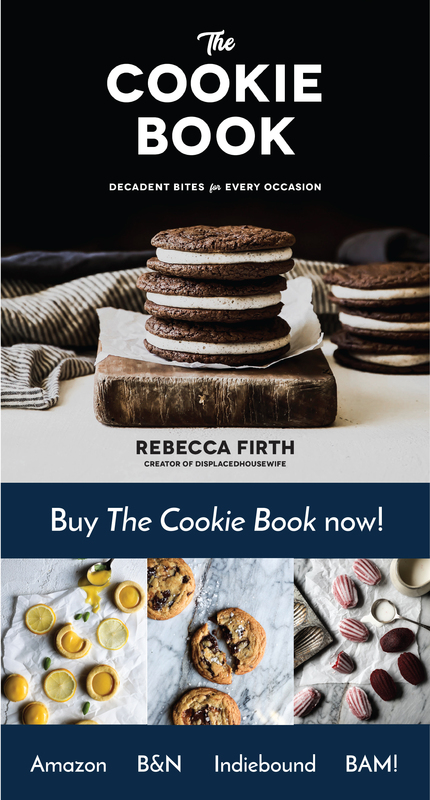 Be sure to tag @displacedhousewife + #displacedhousewife if you make this or any other DisplacedHousewife recipe — I love to see what you guys make. Still healing my back and the house is full of sick kids with lots of snot and coughing. Welcome to the new school year. I hope you guys don’t get it too. Sending lots of love and light! My Husband called from farmers market to see if I’m still up for making plum jam and I said ” Hell Yessss”. Since I couldn’t find any plums , I was disappointed with the fact that I have to wait really long. Not anymore and Cant wait to try them ! Have a question,Is it ok if I cook the plums in a regular pot instead of cast iron? Sounds like you had quite the time in Beijing!! your post made me feel like i was right there with you. i understand your desire to remind your kids of your time there. it’s such a huge part of who you are today. and how sweet that you incorporated this spice packet into your fig jam! 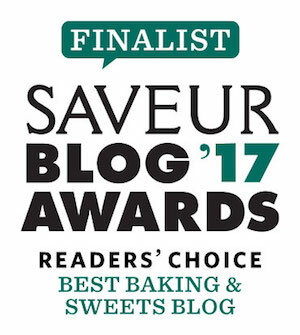 we are fig jam partners this week! can’t wait to try yours!! hey, better late than never (plus, i’ve never seen my family turn down a mooncake ever, lol)! my mandarin never kicked in either (despite trying 4 different schools at different points of childhood/high school), but i’ve got the food vocab (and “your eyes are pretty”… not sure how that phrase stuck) down pat! Loved your recipe and your description of Beijing! Wow you really had the whole experience. How fun to be an expat! 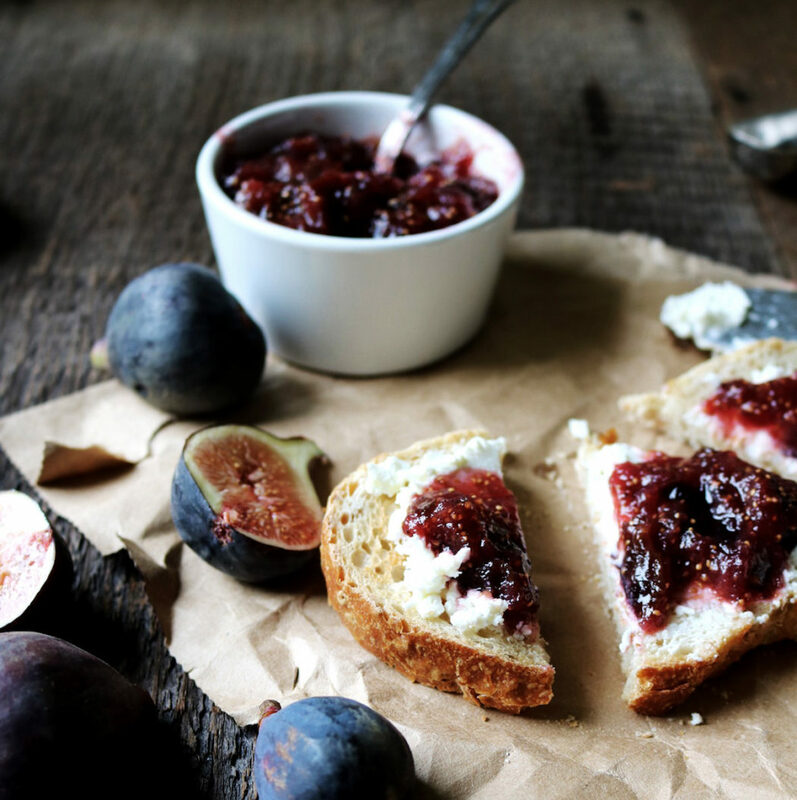 Beautiful recipe of the jam, and cant wait to see your cheese board in the holidays !! :D Gorgeous photos!